Fire, glass, wood, molten metal, paint splatter and amazing quilting! 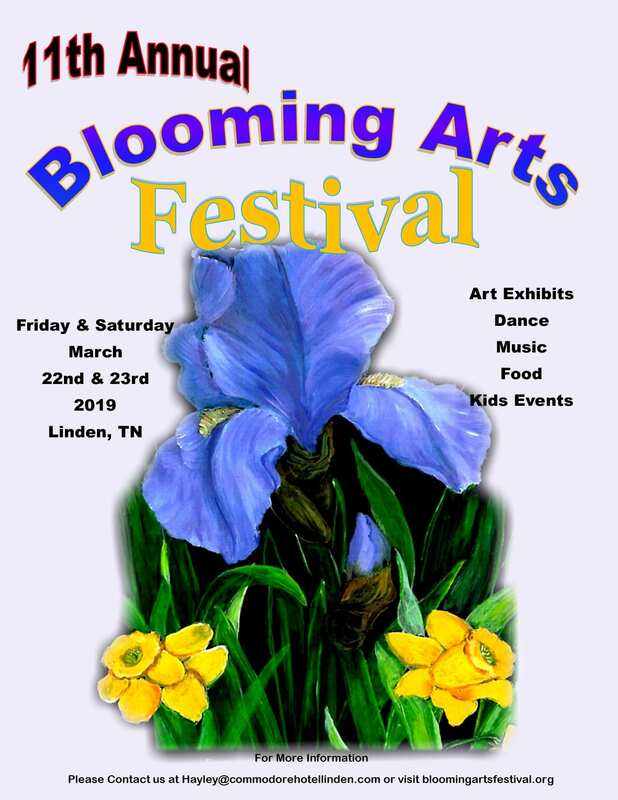 With an outstanding slate of educational events and interactive exhibitions, Linden’s 11th Annual Blooming Arts Festival promises to be a spectacular kaleidoscope of fine arts, crafts, and performances that are all at once “family friendly” and focused on “audience participation” … while also offering food, music, kids activities, tributes to military veterans and perhaps a bit of “spontaneous artistic goofiness”. The event features interactive artist demonstrations in stained glass, blacksmithing, fiber art, flint knife making, painting, modern dance and music of multiple genres. Demonstrating artists and performers include local and regional artists and artisans. Food will be abundant provided by local eateries and street vendors. Guided tours will be available highlighting the new Linden Art District, the new Heritage and Visitor Center and the Historic Commodore Hotel.